You'll be £25.00 closer to your next £10.00 credit when you purchase Darwin Spitfires. What's this? The Japanese air raids on Darwin on 19 February 1942 are well-known to most Australians, although not perhaps to the rest of the world. What happened afterwards, however, remains unknown to many. This publication attempts to illuminate this little-known period of war history, charting the exploits, losses and successes of the RAF's No 1 Fighter Wing and the contribution they made to the allied war effort. The stalwart Spitfire is celebrated in a narrative that is sure to appeal widely. For almost two years the airspace over North West Australia was routinely penetrated by Japanese raids, tallying about 70 in total. The 1942-43 air raids on Darwin constituted the only sustained and intensive direct assault on Australian mainland territory in the whole of World War II - and the whole history of post- 1788 Australia - yet, surprisingly, most Australians have no idea that it ever happened. And the rest of the world are yet more so in the dark. 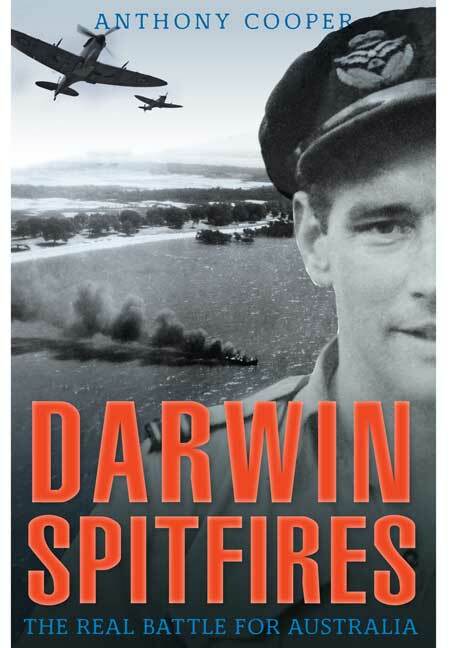 Telling the story of the RAF'S No 1 Fighter Wing, composed of both Australian and British Spitfire pilots, Darwin Spitfires explores the little known 1943 season of air combat over the top end, recovering important aspects of Australian history. It brings to the attention of the world the heroic exploits of the skilled pilots who did so much to protect Australia and support the Allied effort. This important publication attempts to celebrate and commemorate the spirit of solidarity that characterized the experiences of No 1 Fighter Wing. This is one of the most detailed combat histories I've read, combined with an excellent analysis of the reasons behind the successes and failures of the defenders. The result is a valuable study of the only sustained attack on the Australian mainland during the entire Second World War. Anthony Cooper is a Brisbane school teacher. He is a former glider pilot instructor, has a PhD on German aviation history and is the author of HMAS Bataan, 1952 (UNSW Press, 2010).